Claim your seat at the table. The Forté Fellows Program was created with the intention of increasing the number of women applying to and enrolling in MBA programs by offering fellowships to women pursuing a full-time, part-time or executive MBA education at our sponsor business schools. To date, schools have given more than $142 million to more than 6,300 Forté Fellows. Student applies to Forté sponsor school. Student receives an offer of admission into Forté sponsor school’s MBA program. Student receives consideration for all scholarship opportunities through that institution. The school selects its Forté Fellows. Sponsor school notifies Forté of its selections. Note: Students of all nationalities are eligible for consideration. Candidates should demonstrate a commitment to women and girls via personal mentorship or community involvement. Such commitment is in alignment with the mission of Forté Foundation. Schools are encouraged to nominate fellows from their schools who represent diverse educational and work backgrounds, career goals, ethnicities and citizenship. 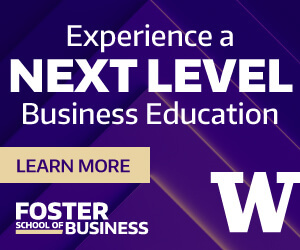 Meet hundreds of like-minded women MBA students at this two-day conference and start slaying the business world before you even begin your MBA.